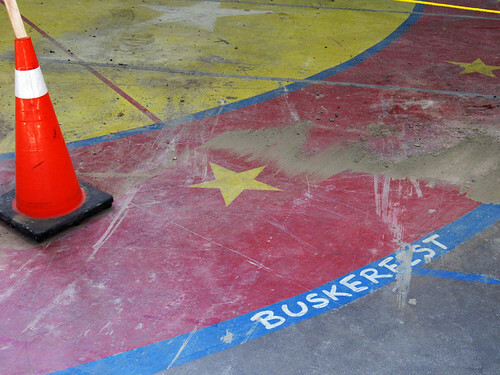 This post offers supplementary material for an article I recently wrote for Torontoist, which you should read before diving into this piece. 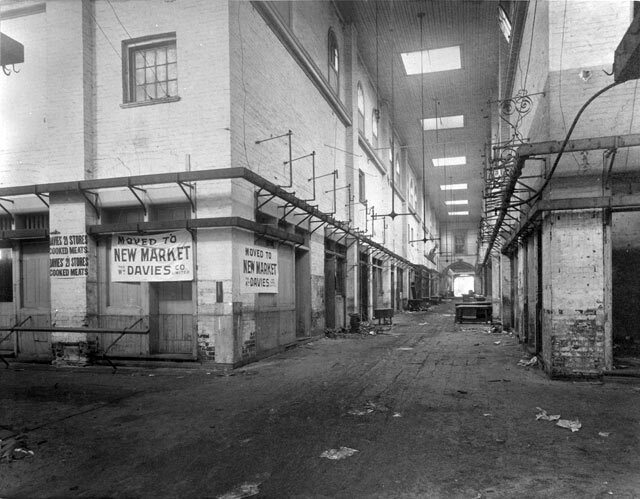 St. Lawrence Market, north market (1850-1904), Front St. E., north side, between Market & Jarvis Sts. ; interior, main corridor, looking north, before alterations of 1898. Toronto Public Library. Click on image for larger version. Looking north along Jarvis Street. The canopy connecting both sides of the market, installed with the new 1904 north market building, is visible. 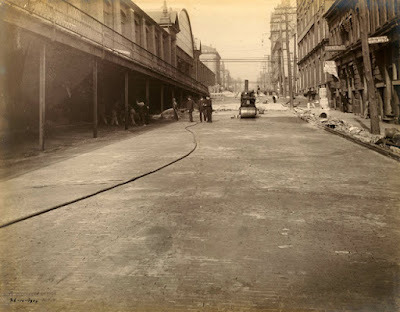 Photo taken October 26, 1904. City of Toronto Archives, Fonds 200, Series 376, File 4, Item 93. Click on image for larger version. From the 1904 incarnation, we move on to the soon-to-be-demolished 1968 version of the north market. 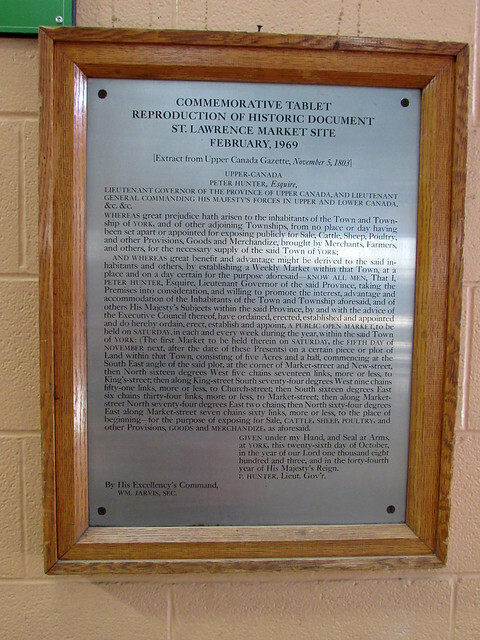 The plaque installed to mark the official opening of the north side in February 1969. This would be among the last ceremonial markers to mention Toronto's Board of Control, which met for the last time later than year. 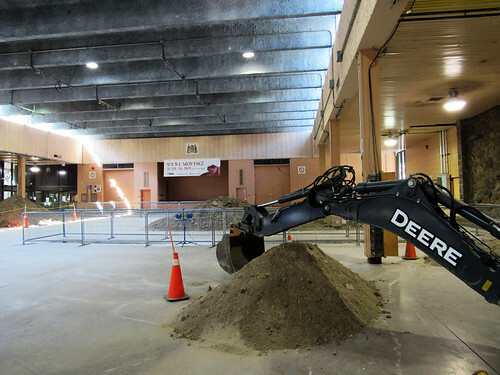 Elected by the city at large, it was replaced by an executive committee chosen from incoming councillors. The 1969 incarnation included one former mayor (Lamport), one future interim mayor (Beavis), one unsuccessful candidate in that year's mayoral race (Campbell), and one who never ran for mayor (Marks). 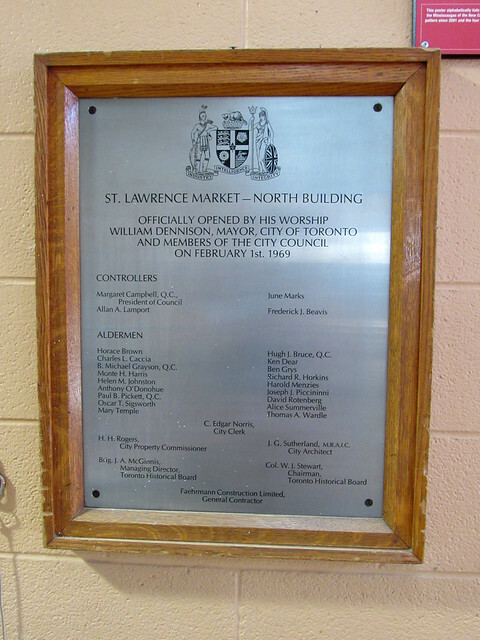 The neighbouring plaque honours the establishment of St. Lawrence Market in 1803. 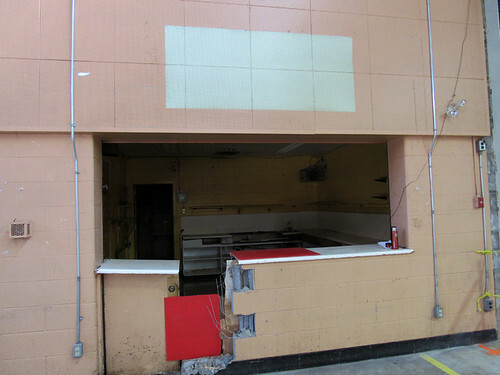 The shell of the snack bar looks a little worse for wear. I'll admit that I never ate there (the temptations of Buster's, Uno Mustachio, and Yianni's usually fill my tummy on Saturday trips), but it's nice to see that a positive, legit-looking review was left on Yelp. 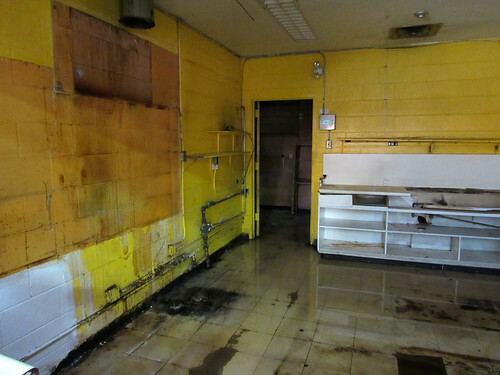 Upon closer inspection, you may require wading boots to explore the snack bar's remains.